1. How can I end a sentence in Korean? 2. How do I know which words are verbs? 3. What are some of the other verb-ending sounds? X. How are country names pronounced in Korean? 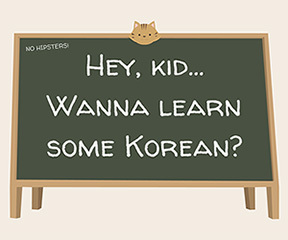 A Korean sentence has its main verb at the end of the sentence. The word order in Korean is subject-object-verb (SOV). In English, the word order is subject-verb-object (SVO). Also, keep in mind that subject words are often omitted in Korean. So instead of the word order being subject-object-verb or SOV, it may be just object-verb or OV.